Gabriella asked us to continue the fight to find less damaging treatments for kids with brain cancer and we are doing as she has asked. 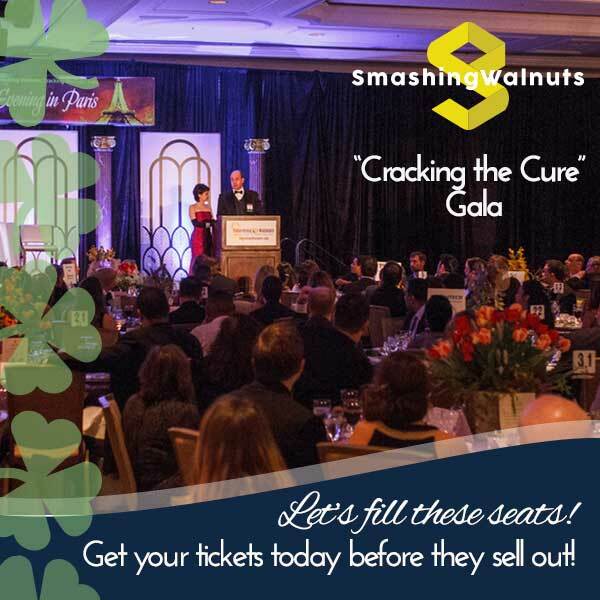 Our 3rd Annual “Crack the Cure” Gala is quickly approaching it will directly fund scientific research and help us fulfill the promise we made to her. On March 19th we will gather at the Ritz Carlton – Tysons Corner and, along with more than 350 others, welcome Larry Michael, the “Voice of the Washington Redskins”, as our event Emcee. Last year, he did a wonderful job engaging our sold out crowd and we look forward to having him join us again. We will also be welcoming Dr. Francis S. Collins, M.D., Ph.D., Director of the National Institutes of Health (NIH), as one of our esteemed guest speakers. He has been a valuable supporter of our efforts and we are excited that you will have the opportunity to hear him speak. In addition to Dr. Collins, we are pleased to announce that Miss NY, Jamie Macchia and Congresswoman Barbara Comstock will be joining us. There will be plenty of other special guests and speakers in attendance. Sorry, we aren’t quite ready to announce them all. A wonderful evening is in store for our attendees. Guests will have the opportunity to bid on sparkling jewelry, signed sports memorabilia, one of a kind artwork and more at the silent auction during the cocktail reception. A dinner with sumptuous cuisine will follow in the breathtaking grand ballroom. Guest speakers and a live auction with exclusive sporting tickets, unique concert experiences, dream vacation packages and more are just some of the highlights of the planned the evening program. Following the program, you will need to grab those dancing shoes so you can join us as we dance the night away. Great music will be brought right to you at our amazing after party. No traveling required! At last years event we raised more than $200,000 and hope to raise even more this year. We’d love for you to join us at the event as we continue our fight against childhood brain cancer. Let’s save lives together.